In medium bowl, combine all ingredients except bread and lettuce; mix well. 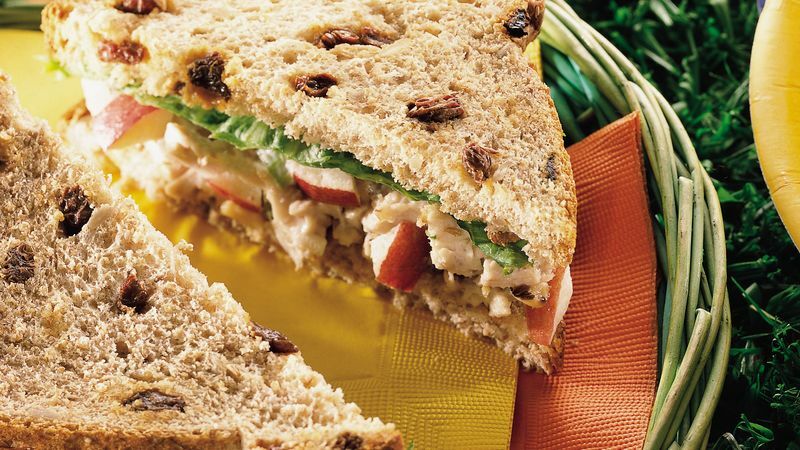 Spread about 1/2 cup chicken mixture on each of 4 bread slices. Top each with lettuce leaf. Cover with remaining bread slices.